This October, Chrissie Wellington, 2x Ironman World Champion and iron distance world record holder, will be headlining the GOTRIbal-Fest in San Diego, CA. GOTRIbal-Fest is a one–of-a-kind experience for women of all ages and experience who love running, swimming and biking. Attendees will have the opportunity to interact with top athletes, test equipment from top manufacturers, attend educational seminars from industry experts, share ideas, experiences and most importantly gab, play and network with one another! In keeping with the mission of GOTRIbal, the event will enable women to build their own support networks and “pay it forward” to help other women achieve what they may not have thought possible, in and out of sport. 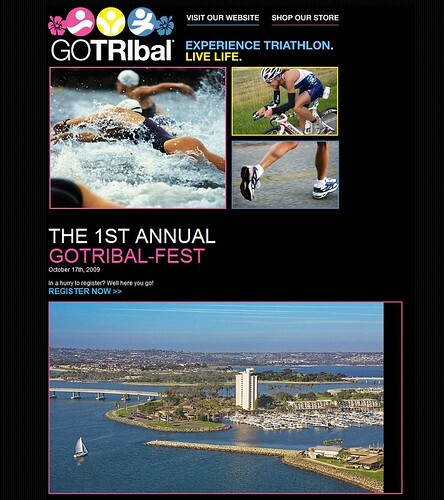 The GOTRIbal-Fest will be held at the Hyatt Bay Resort in San Diego on October 17, 2009, and is limited to 100 attendees. The next day, October 18th, Chrissie will be leading a charity fun ride and having a picnic lunch for a random selection of Conference attendees. Twenty five lucky women will join her on a bike ride followed by food and drinks and a chance to ask questions, and yes – even get an autograph or two! Proceeds from this charity ride will support the San Diego chapter of the Girls on the Run.